If Art Gallery presents two solo shows at Gallery 80808/Vista Studios, 808 Lady Street in Columbia’s arts and cultural district, The Vista from Thursday, February 5 through Tuesday, February 17, 2009. 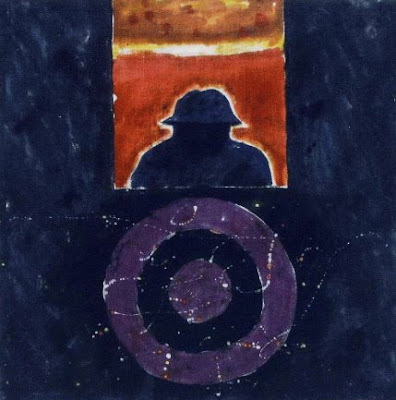 The dual exhibitions includes Laura Spong: Still Screaming and Leo Twiggs: Targeted Man. The opening reception is Friday, February 6 from 5 – 9 PM. The exhibition OPENING HOURS: Week days from 11 – 7; Saturdays from 11 – 5; and Sundays from 1 – 5. THE EXHIBITION RUNS FROM THURSDAY, FEBRUARY 5 through TUESDAY, FEBRUARY 17, 2009. For its Feb 2009 exhibition, if ART presents Gallery 80808/Vista Studios in Columbia, S.C., two solo exhibitions by some of South Carolina most prominent veteran artists, Columbia’s Laura Spong and Orangeburg’s Leo Twiggs. Both artists will present new work. 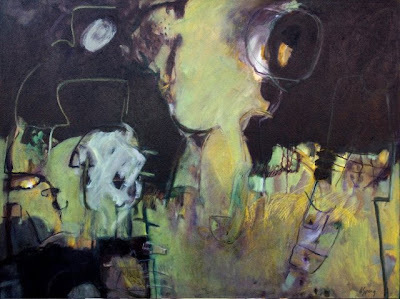 Spong will show her trademark abstract expressionist oil paintings. 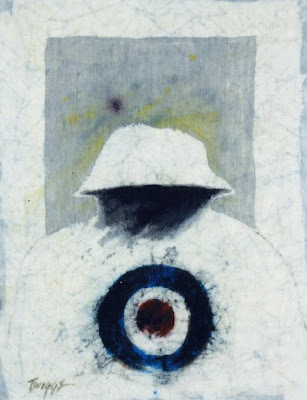 Twiggs will exhibit a new series of batik paintings around the theme of “targeted man,” featuring figures adorned with a bull’s eye or target. Laura Spong (b. 1926) is among South Carolina’s most prominent non-objective painters. In the past three years, Spong has further increased her reputation with several solo exhibitions, including a retrospective at the University of South Carolina’s McMaster Gallery. For her 2006 exhibition, Laura Spong at 80, Columbia’s if ART published a 32-page catalogue. In addition to the S.C. State Art Collection, Spong’s work was purchased recently by the Greenville (S.C.) County Museum of Art and the S.C. State Museum. 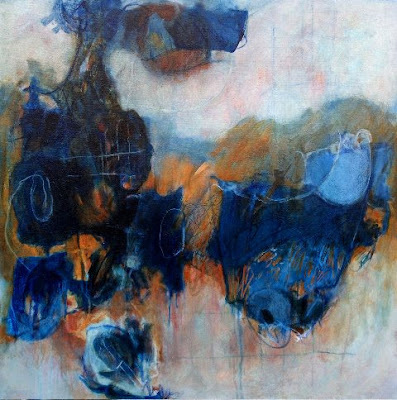 Three of her paintings also are in the Contemporary Carolina Collection, which was established in 2008 at the Medical University of South Carolina’s Ashley River Tower in Charleston. Spong maintains a studio at Vista Studios in Columbia. Leo Twiggs (b. 1934) is a native of St. Stephen, S.C., who lives in Orangeburg, S.C., where he taught art at South Carolina State University from 1964 until 1998 and established a museum. Twiggs is widely seen as one of the most important South Carolina artists since the 1960s. His career retrospective, Myths and Metaphors: The Art Of Leo Twiggs, organized by the Georgia Museum of Art and accompanied by a catalogue, completed a two-year tour at the South Carolina State Museum in Columbia in April 2006. Twiggs has had dozens of solo exhibitions in museums and galleries in the Southeast and beyond, including the Studio Museum in Harlem. In 1964, he received a graduate degree in art from New York University and in 1970 was the first African American to receive an Ed.D. in art education from the University of Georgia. In 1981, he was the first to receive as an individual South Carolina’s highest art award, the Elizabeth O’Neil Verner Governor’s Award for the Arts.